Governmental agencies and departments need to be there to serve the citizens under their jurisdiction. That means they need a communications system that be relied on 24/7, even if a disaster strikes. 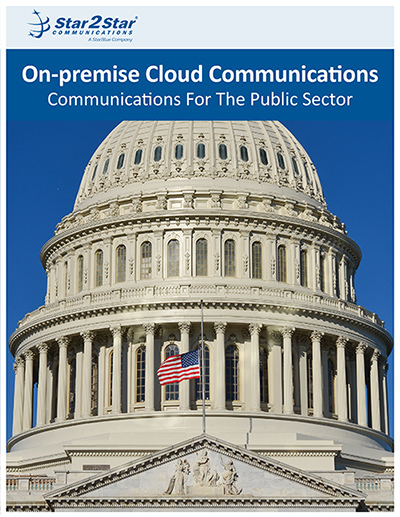 On-premise Cloud Communications Solutions from Star2Star are ultra-reliable and include extensive disaster recovery protections should the worst happen. Read more to discover how Star2Star can keep an agency’s lines of communication open when they are most needed with features such as bursting lines, automatic call routing, and more.